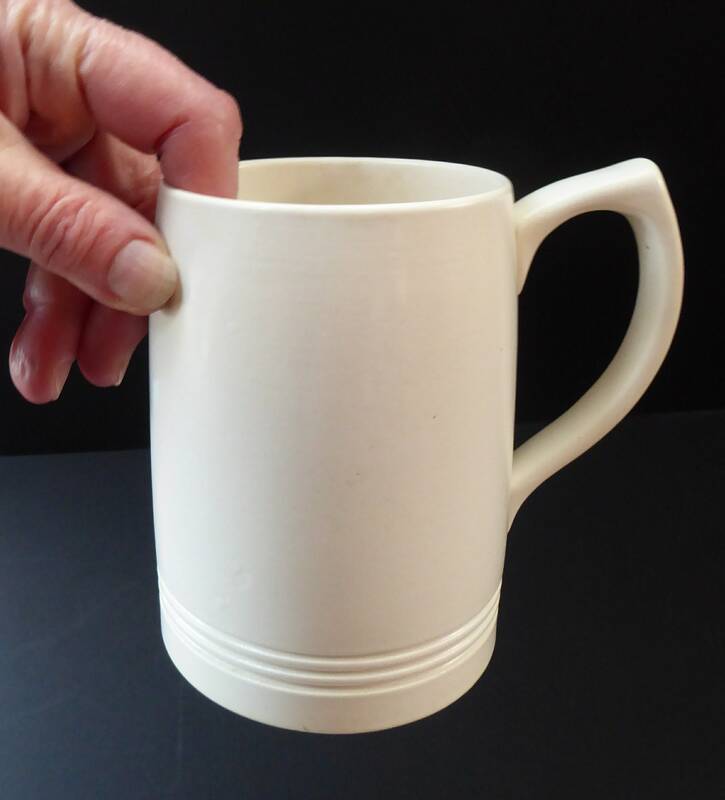 This is a stylish piece of mid-century British ceramics. 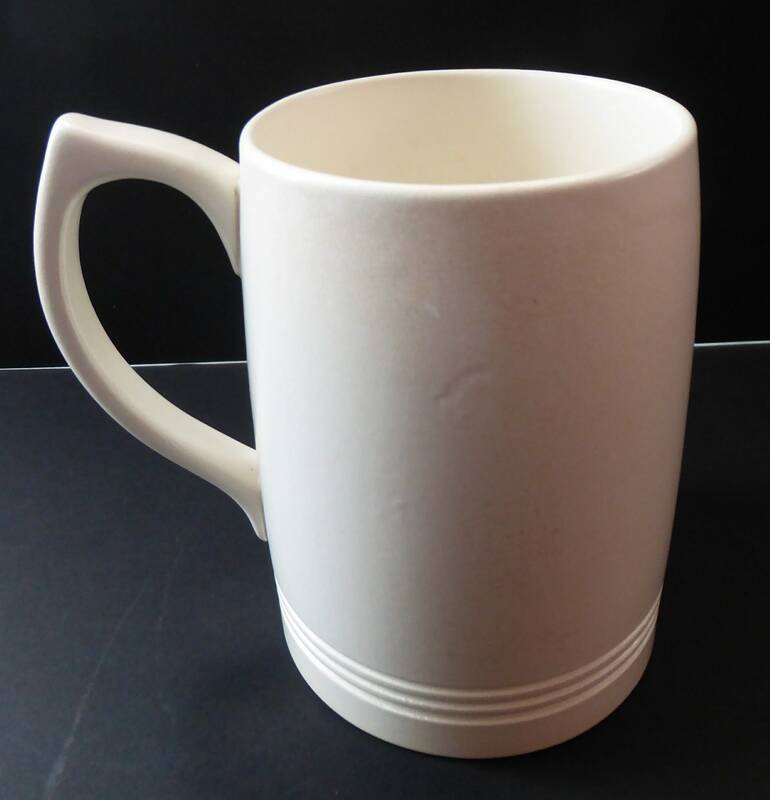 It is a fine modernist mug or tankard which has been designed by Keith Murray for Wedgwood. 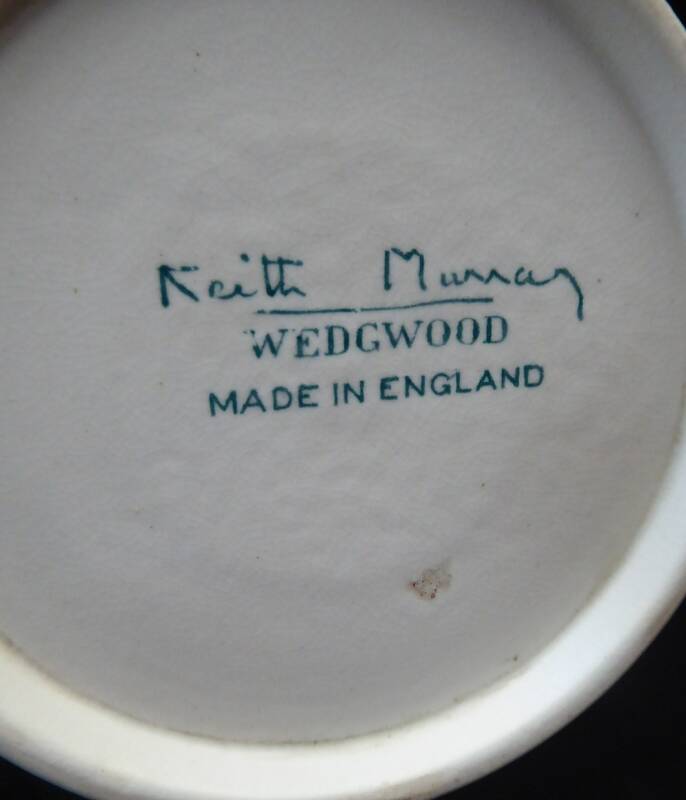 The production details are marked on the base as photographed. 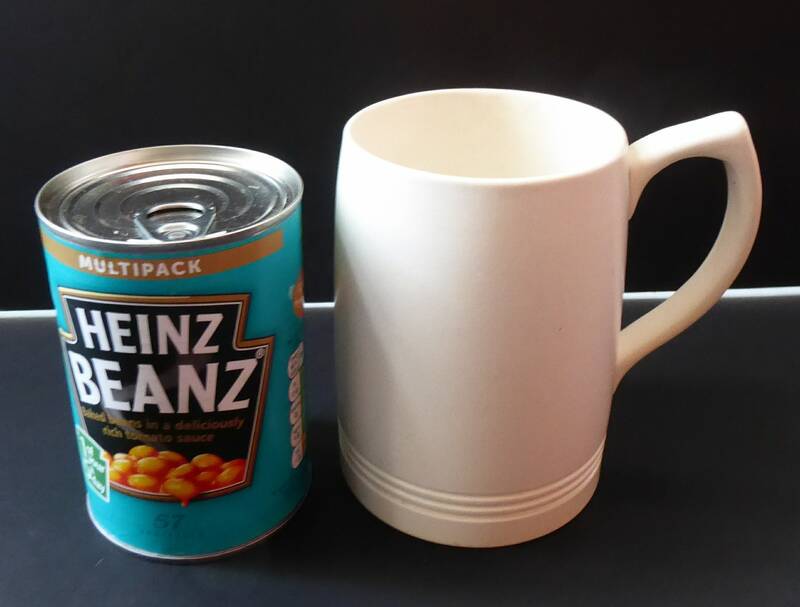 It is in lovely vintage condition with no chips or cracks. 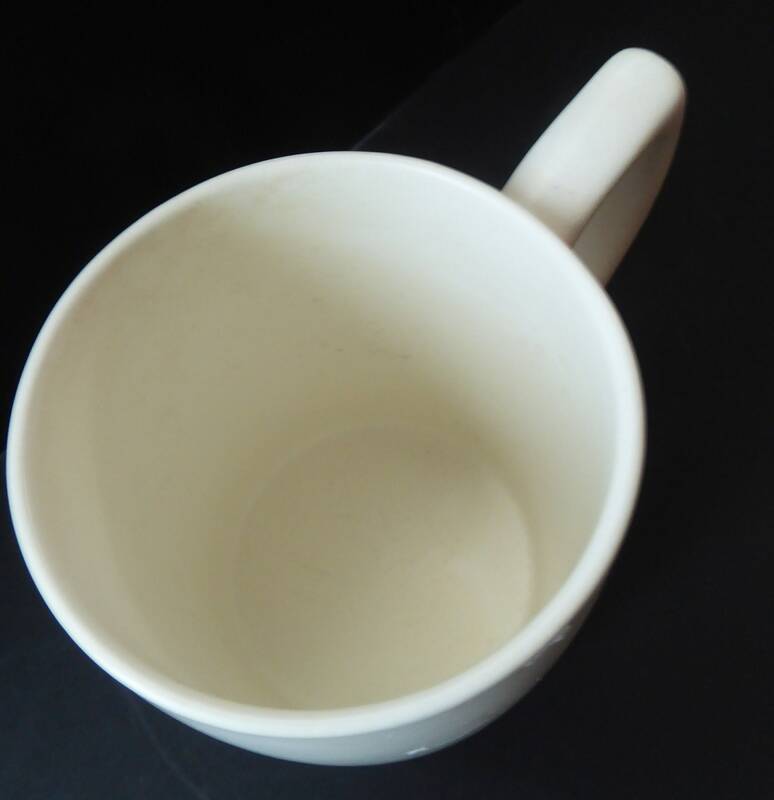 The glaze is free of cracking or staining. 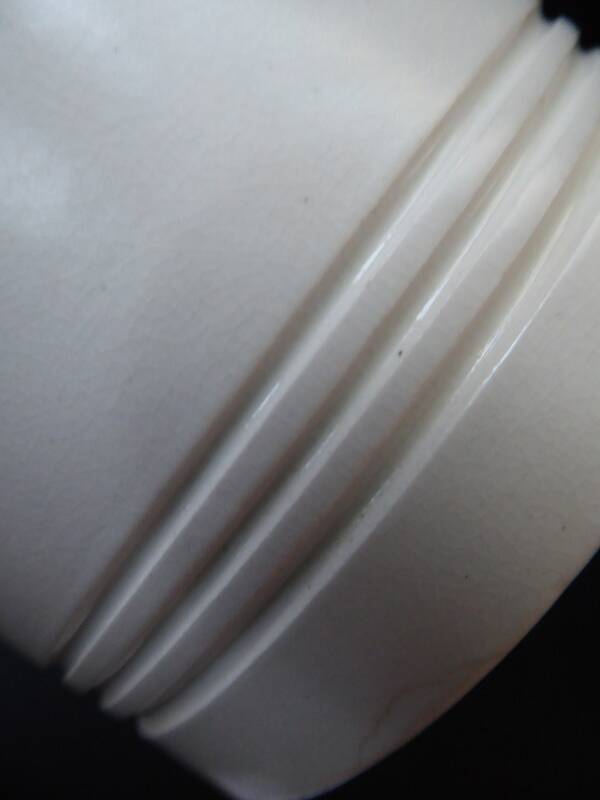 It is a nice cream white eggshell glaze - which is called Moonstone. Dimensions: Height 4 ¾ inches. 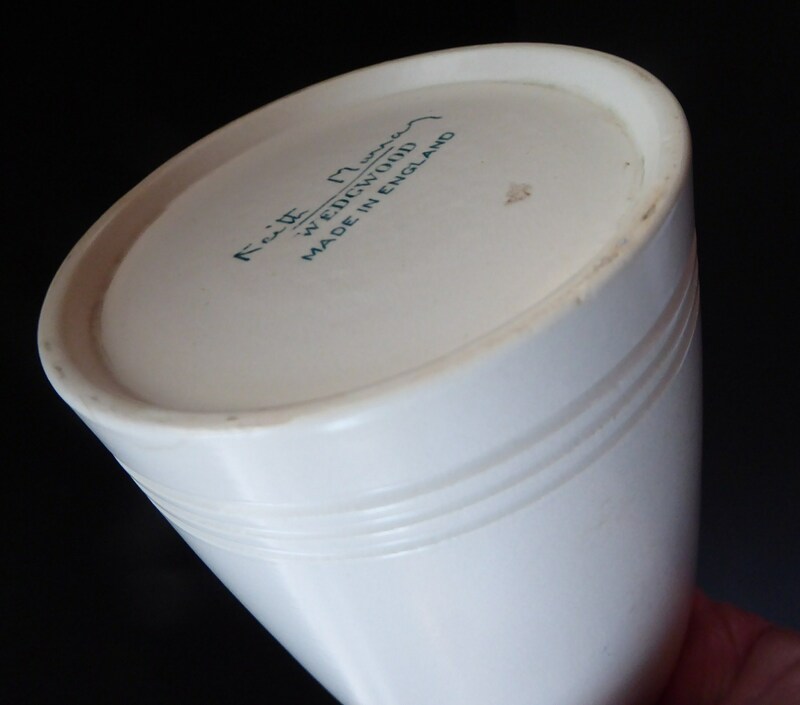 The diameter of base is 3 ½ inches. Diameter at the top is 3 ¼ inches. 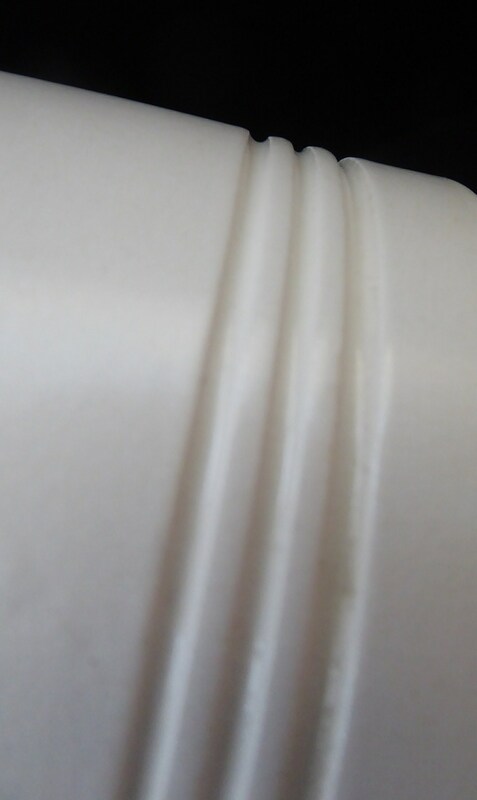 From front to back of the handle is 4 ¾ inches. 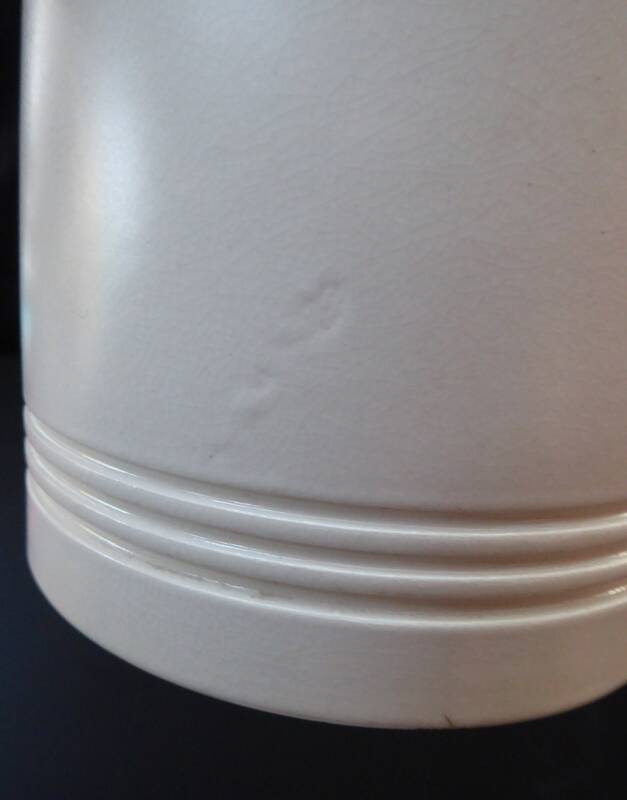 I love the three incised and turned bands as a bit of minimalistic decoration towards the base. In good vintage condition, as photographed. 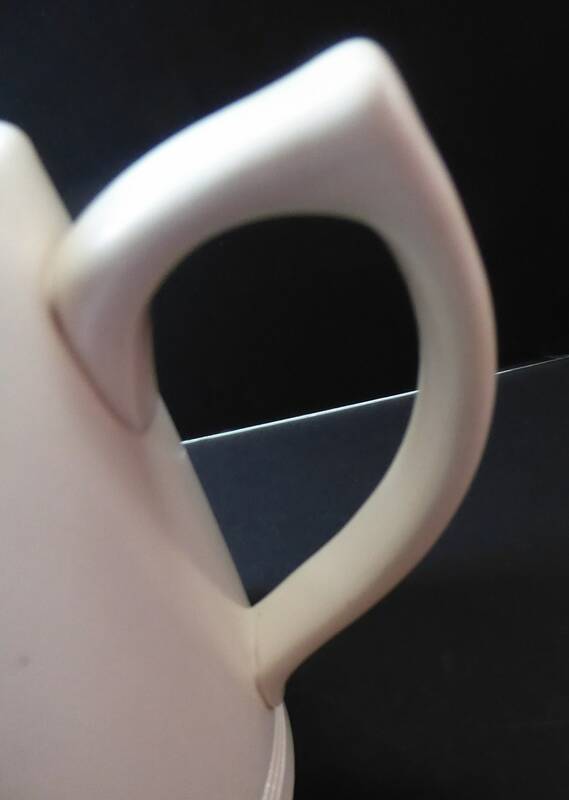 The glaze is not completely smooth on the mug - but I suspect that this is often the case with this thick glaze coating that there is often a little bit of rippling to the glaze surfaces here and there on these pieces.